Perfect for touch-ups when you’re out and about, this clever compact from Pop & Suki flips open to reveal regular and magnifying mirrors. This compact is SO CUTE! It's pretty small, slightly smaller than the size of my palm, but it's the perfect size for my makeup bag. It's super easy to open with the press of the button and clicks closed! Note: The mirror comes with a clear protective sticker on both sides. I thought mine was scratched upon arrival, but once I peeled the stickers off, it was flawless! this is a small handy compact mirror that has a standard/normal and a magnifying side. but the specification on the range of magnification AND the dimension of this mirror are not provided even in the website of pop and suki which I think will be more helpful when purchasing this item. but all in all it is handy which is my purpose of buying this product. since this did not come with any pouch to protect the compact it fits nicely inside the BECCA zipped pouch that comes with the compact powder. The compact is not what I was hoping for. A little difficult to open and it had many surface scratches upon arrival. 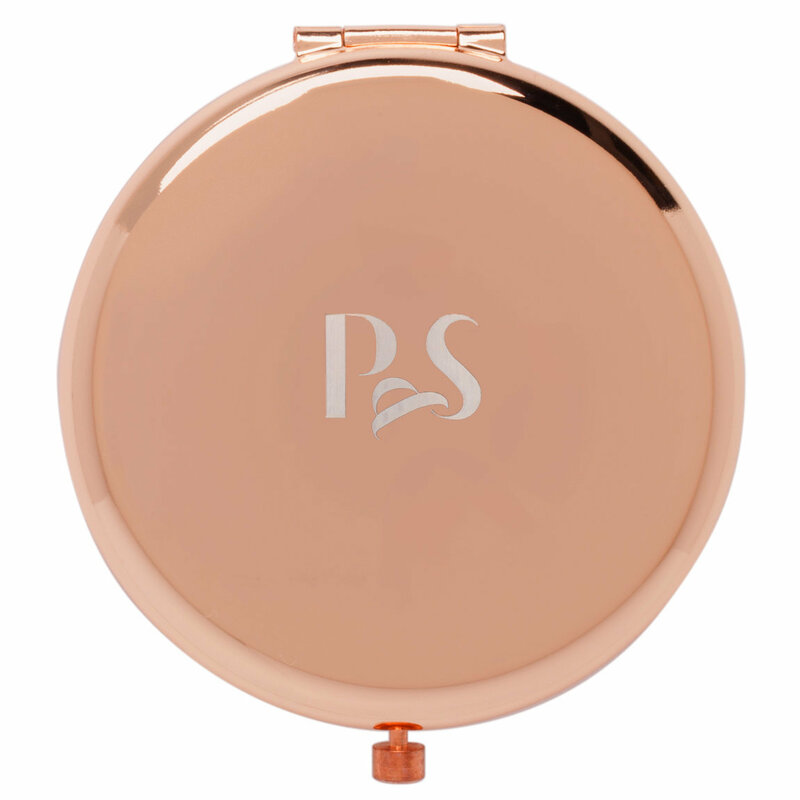 This is a small rose gold mirror that fits nicely in a small purse. It is pretty and I think it is worth having. I am going to buy another so I can have it another purse because I change purses for the seasons. I love it.